But President Erdogan says he does not believe that King Salman was behind the killing of Jamal Khashoggi. ANKARA, Turkey — The order to kill Saudi journalist Jamal Khashoggi came from the highest level of the Saudi government, Turkish President Recep Tayyip Erdogan said Friday, adding that the international community had the responsibility to “reveal the puppet masters” behind the slaying. In an op-ed in The Washington Post, Erdogan said he did not believe that Saudi King Salman had ordered the killing of Khashoggi at the Saudi Consulate in Istanbul on Oct. 2. He said Turkey’s close ties to Saudi Arabia did not mean that Turkey could turn a blind eye to the killing. “We know that the order to kill Khashoggi came from the highest levels of the Saudi government,” Erdogan said. Istanbul’s chief prosecutor announced Wednesday that Khashoggi, who lived in exile in the United States, was strangled immediately after he entered the consulate as part of a premeditated killing and that his body was dismembered before being removed. Turkey is seeking the extradition of 18 suspects who were detained in Saudi Arabia so they can be put on trial in Turkey. 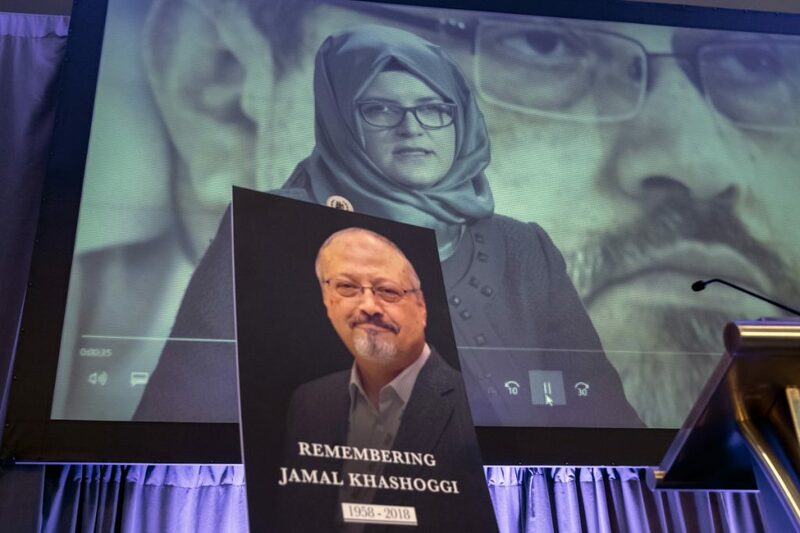 They include 15 members of an alleged Saudi “hit squad” that Turkey says was sent to Istanbul to kill The Washington Post columnist who had written critically of Saudi Arabia’s Crown Prince Mohammed bin Salman. Some of those implicated in the killing are members of the prince’s entourage. In the opinion piece, Erdogan did not mention the prince. But few in Turkey and elsewhere believe that the crime could have been carried out without the knowledge of the kingdom’s powerful heir apparent. Meanwhile, a Turkish official said he believes Khashoggi’s body was dissolved in acid or other chemicals after it was mutilated. Yasin Aktay, a ruling party adviser to Erdogan, said Friday that “there can be no other formula” to explain why the remains have not been found.